With a cutting edge design and five timeless diamonds, this ring serves as the perfect symbol of your feelings. 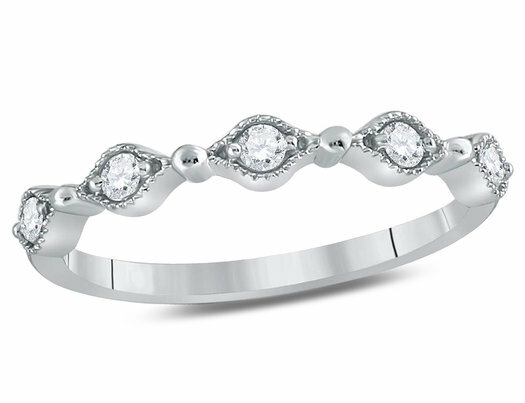 Between gently curled arms of 10 karat white gold sit five twinkling diamonds with a clarity rating of I2-I3. This type unique attention to detail and design is the perfect gift for her.